Cannon County, Tenn. -- Short Mountain Distillery has just had another celebrity visit. 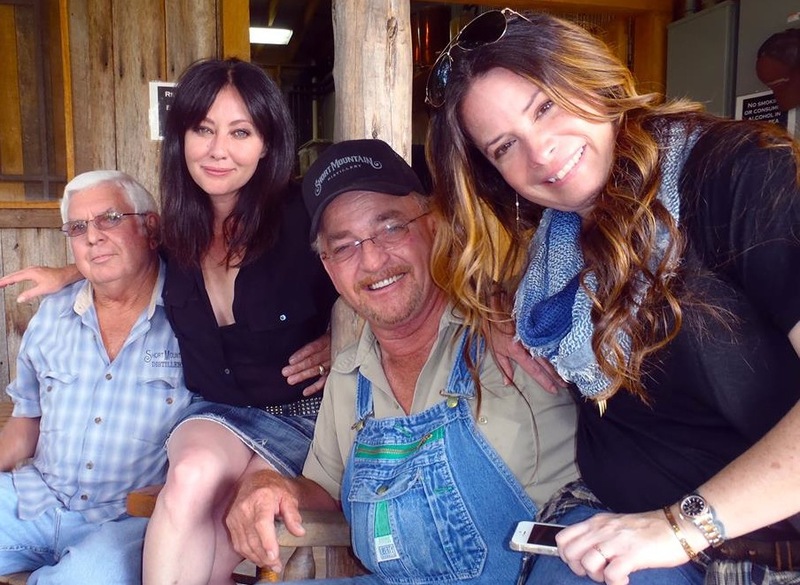 Shannen Doherty (Beverly Hills 90210 / Charmed) and Holly Combs (Charmed / Pretty Little Liars), best friends for many years, visited the distillery as part of their new travel show, Off The Map, which will be shown on Great American Country in early 2015. The ladies shared with Short Mountain managing partner, Billy Kaufman, that they are taking a ‘summer vacation’ from their Hollywood lives to travel through Kentucky, Tennessee, Mississippi, Alabama, Georgia, and Florida. They want to seize the opportunity to enjoy life in the South, an area of the country with which both are unfamiliar, with the people who live there. According to the GAC sources, Off the Map is an opportunity for Shannen, Holly, and the viewers, to expand what it means to call America ‘home’. Fans can vote on where they want the ladies to visit in each state on the GAC website. Drinking and making moonshine got the vote for what to do while touring Tennessee. Perfect choice, since Tennessee is where its manufacture began. Moonshine, that backwoods staple that Granny Clampett kept safely hidden in her medicine closet, is now out of the closet and becoming the hippest new addition to the Farm-to-Table movement. And Tennessee’s Short Mountain Distillery, housed in the hollers of Cannon County, is fast becoming Hollywood’s favorite place to enjoy downhome fun and sip the once taboo liquor with the locals. Just a few months ago, Short Mountain Distillery was revealed as a shooting location for Sage + Saints new music video “Take Me to the South,” co-directed by Kristen Stewart of Twilight fame. It was there that the now famous Kristen Stewart goat- holding photo was taken. Something about the laid-back atmosphere makes stressed out stars relax and smile. Shannen and Holly were no exceptions. “Shannen and Holly stayed longer than expected. We were all having a great time telling tall tales, eating, drinking, and listening to the old time music,” Kaufman added. For more information about Short Mountain Distillery, moonshine and how to enjoy this slightly wicked brew, go to www.shortmountaindistillery.com. 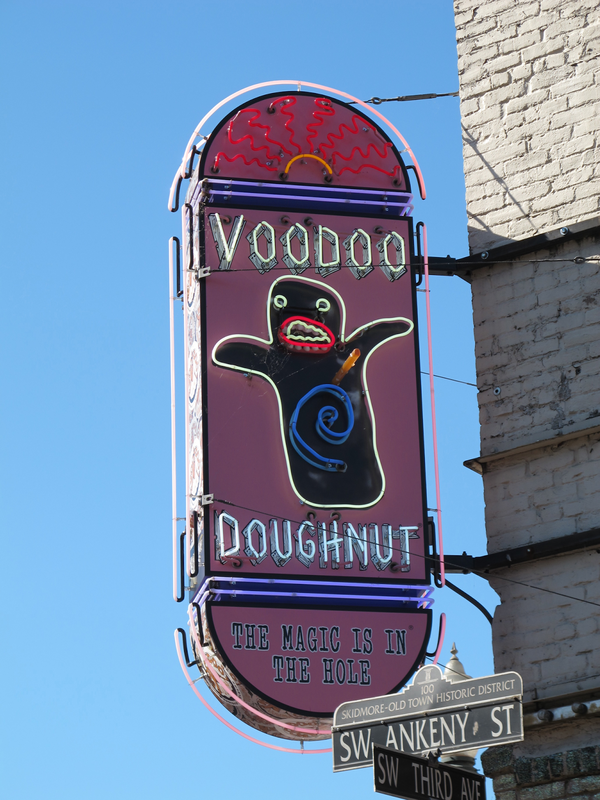 When I was visiting my hometown of Portland, Oregon a few years ago, one morning I passed by Voodoo Doughnuts. The line into the place was two city blocks long. Must be great, Anthony Bourdain raved over their Bacon Maple Bar on “No Reservations.” Maybe he’s still getting the word out by wearing one of their Voodoo Doll Doughnut t-shirt. You can get one, too. These people know how to advertise. You can’t work in the advertising field without people asking you what you do. Every person, unless you live out in the boondocks, is exposed to an average of 3,000 advertising messages a day (although we only process about 247), but has no clue what advertising is or what it can do. First and foremost it is a form of communication. Communication is the passing of a message through a medium in such a way that the message is understood by the receiver at the other end. If there is a breakdown in any part of this process, then communication has not taken place. Good advertising is a specific message getting the attention of a specific audience through a targeted medium, like Facebook or a brochure or a TV commercial. Bad advertising is communication breakdown. Second, advertising must inspire movement. As advertising great David Ogilvy said in his book, Ogilvy on Advertising, “When I write an advertisement…I want you to find it so interesting you will buy the product.” If an advertisement is not inspiring someone to buy something, then it must have another purpose, such as branding. Simplistically stated, branding should inspire people to be emotionally involved with a product or a service or a company. Voodoo Doughnut succeeds in branding and selling. I said they're good. Lastly, at least for this quick overview of the subject, advertising should get attention. 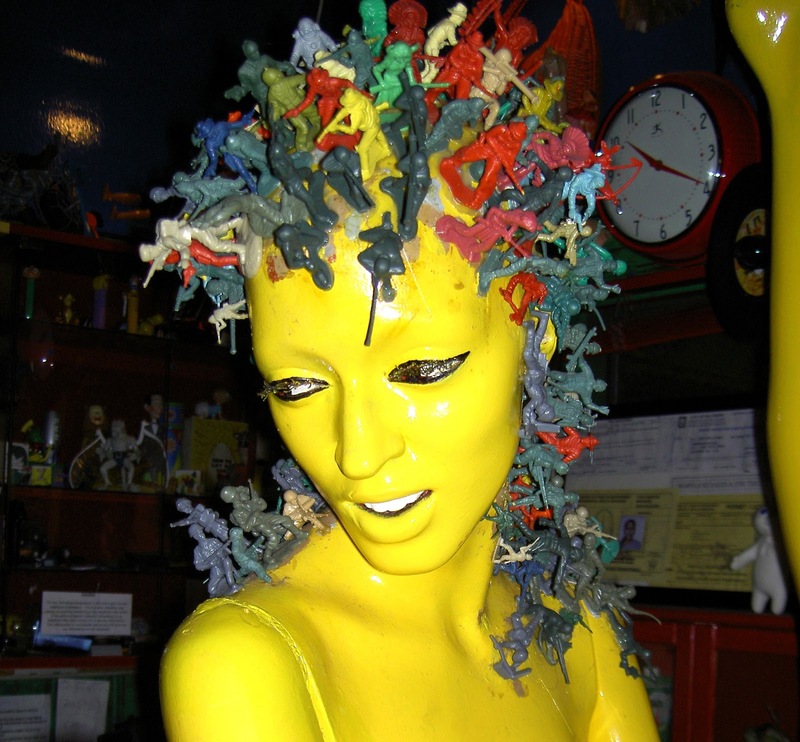 It should be seductive enough to get noticed in a very ad-littered world (remember those 3,000 messages). Of course, it has to get the attention of the right people, and once it has their attention it better be telling them the right thing about the product or service being advertised. 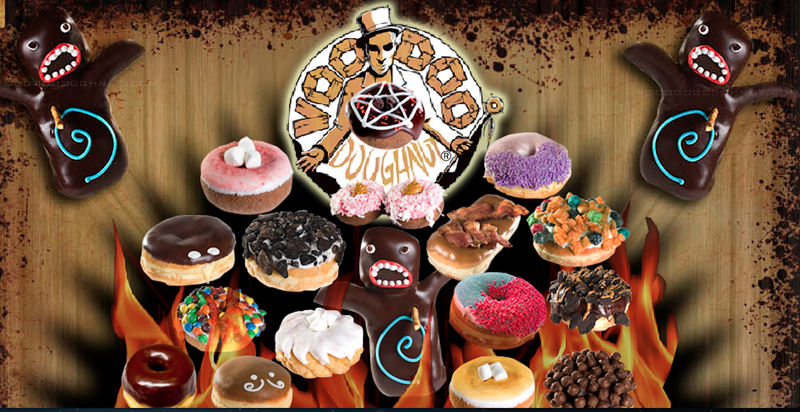 I think the Voodoo Doughnut website header says it all. Drool. Drool.